The new Arsenal Spanish boss Unai Emery has been active in the transfer market this summer bolstering the club’s defensive zone, an area where all the supporters had felt required urgent attention, as he looks to attempt and get them back into the Champions League. Unai has also been interested to keep a number of his new players at the Emirates Stadium this summer, and according to reports by Sky Sports UK, he may have been able to assure one of his younger players to stay in north London. 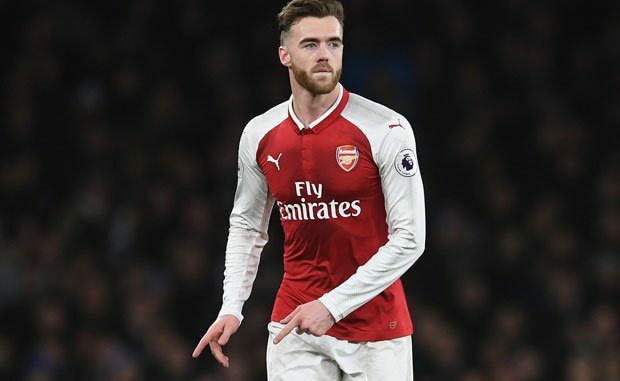 Sky Sports UK are stating that Calum Chambers is in advanced negotiations to sign a new contract, in spite of having signed an extension the previous year. The move would suggest that the 23-year-old star is highly rated by the new coach and with the likes of France international Laurent Koscielny out injured, the Englishman may be called upon in the early stages of the EPL season. Calum came through the youth levels at Southampton and has plenty of Premier League experience despite never really breaking into the Gunners first-team set-up.